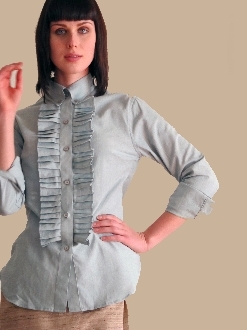 Pleated ruffle shirt with great tuxedo style button down details. Perfect for office and weekends over your fav jeans!! -Made in NYC Garment Center.